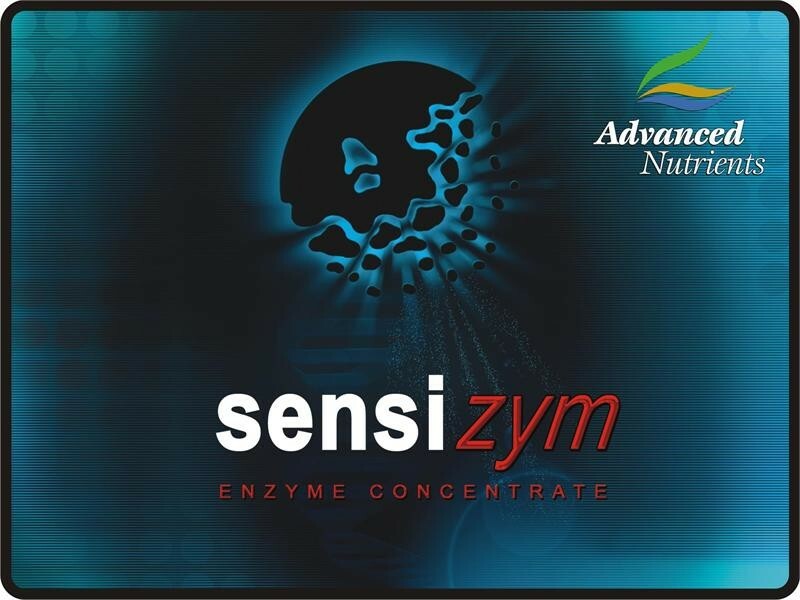 WHEN TO USE SENSIZYM: During all phases of growth, but especially beginning in early bloom phase and continuing to harvest. Your plants' roots help you maximize your gardens yield when you give them a root zone filled with active enzymes that break down debris and promote nutrient absorption. You see, if you were growing outdoors in the healthiest, most fertile soil, your plants' roots would be surrounded by billions of beneficial microbes that manufacture enzymes. But you can't just throw in any enzymes. You have to give your root zone the most powerfully appropriate enzymes for the job. Now let's take a moment to examine how you get the perfect enzymes into a formula that works in your hydroponics garden. Because what a lot of hydroponics companies do is take shortcuts that short circuit the value of enzymes. Instead of using the precise types and ratios of enzymes that have been shown to work the hardest and fastest in your root zone, some companies outsource their manufacturing so they don't know what's in their enzyme products. Of course, there are other considerations. Our scientists are aware of the pH and temperature of nutrient water in your hydroponics garden. 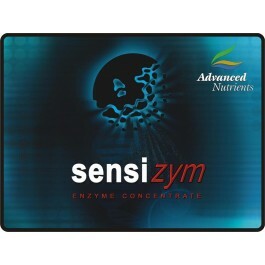 They make sure that Sensizym's enzymes function at full strength in your range of pH and temperature. By the way, it's interesting to note that there's a circular cycle of benefits involving Sensizym enzymes and beneficial microbes in your root zone. For example, when Sensizym's enzymes break down dead organic material into sugars, beneficial microbes eat the sugars, creating more enzymes. Putting it all together for you, there's now an easy way for you to enhance your roots, put more nutrition into your plants, promote floral growth, and break down dead organic material in your root zone. As you prepare to get some 100% organic Sensizym and bring all these benefits into your garden, there's one other interesting fact that growers have discovered using Sensizym. According to what we're told by growers, and confirmed by gardeners as well as plant scientists, is that Sensizym does such a good job of decomposing root zone debris that you can reuse root zone media such as rockwool and coco coir. This saves you money and time, because you don't have to buy root zone material as often. You don't have to buy it and then pre-treat it as often. Nor do you have to dispose of it as often.